It's the season of self-love. With each season, nature provides us with an opportunity to create positive change. 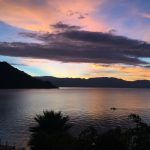 Just like nature has her unique seasons and natural changes, as human beings we also have that opportunity to change, make positive shifts and align with what we desire more of in our lives. Since we're now full into Fall, it’s an important time to reflect upon your achievements over the past year, reflecting on the individual seasons in your life, as well as focusing forward on what you desire in this next season of your life. One thing that I personally feel is fundamental in life is to create a strong self-love foundation; the most important and longest relationship you will ever have in your life is with yourself. In order to continuously grow your self-love foundation, it’s important to have an ever-evolving and growing self-love practice. When working with women, I constantly share: “It’s a self-love practice, not a self-love perfect.” So, when creating your own self-love practice, make it work for you and focus on the areas that you desire to put into “practice” in this current season of your life. What feelings or thoughts can you release? When we go into Fall, we see beautiful changes in nature. One of my personal favorites is seeing the leaves turn magnificent colors, then naturally release from the trees and gently float to the earth. Let this act of nature serve as your permission to release thoughts and feelings that aren’t serving you. The more you hold onto these negative feelings, the more they become a part of you. If they feel *icky*, that’s an opportunity to create awareness, honor the feeling and release it. You can release it gently like a leaf slowly falling to the ground OR fiercely like a leaf taking off in a energetic windstorm. Either way, release it. Some things you can release are negative thoughts, heavy attachments, disempowering feelings about your body, life or career. You get to decide what you want to release. What would you like to release this Fall? Once you've written this down, you can cross it all out, crumple up the paper, safely burn it, rip it up and/or throw it away. 2. Explore: What does self love feel like to you? After you have released what isn't serving you, you can start to explore. It's your opportunity to EXPLORE what self-love feels like to you. What does self-love FEEL like? This is individual to you. I could say define self-love, but sometimes with definitions we get a little too strict and don’t allow ourselves the flexibility to create our own meaning and therefore don’t start the practice. 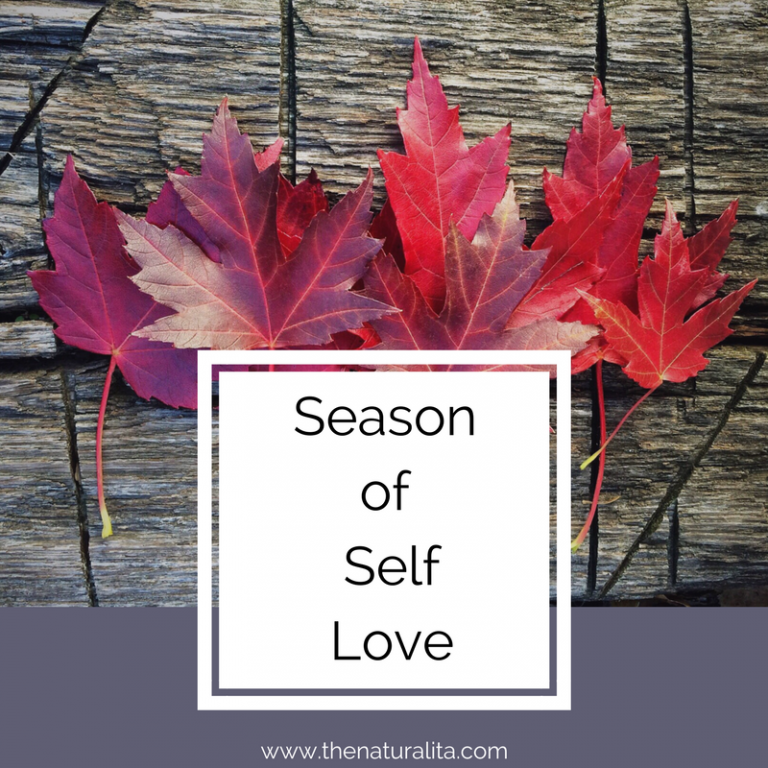 Since we're all at different seasons in our individual lives, it’s important for you to think about what more self-love would feel like in your body and life. How can you allow more self-love to show up in your life? What does self-love feel like to you? This is for you. Write it somewhere where you can see it, add to it, and read it daily. There are no right or wrong answers as long as it makes you feel loved in a positive way. 3. Take Inspired Action: Create your Self-Love Practice. The beauty of having your own individual self-love practice is that you get to choose what you would like to incorporate into it. If you look back at your list of of how self-love feels to you, make sure your actions are aligned with how you would like to feel. There’s no right or wrong answer or way of putting together your self-love practice. It’s a practice, you figure it out while you go. Maybe you want to incorporate reading a book on personal development (or a favorite topic) for 15 minutes a day, taking a nightly/weekly bubble bath, moving your body in nature, practicing yoga daily, or eating a nourishing breakfast - you get to choose what works for you. It’s also important to remember that it doesn’t have to be an all day activity, the goal is to work to create a stronger, healthier and more positive relationship with yourself, not a structured to-do list. 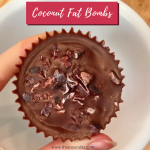 I've created a Fall Love List that has 50+ ideas of fun love-fueled activities to help you to start thinking of your own love list. 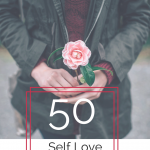 What are 20 things you would like to incorporate into your personal self-love practice? (FYI, I’m asking you to write down 20 so you have some to choose from and by giving you the power of choice, you'll naturally align with the things that light you up the most.) Choose one or two to help you get started on your personal daily self-love practice. 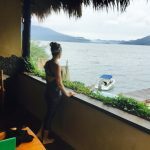 Self-Love is often the most desired feeling and a key foundational component in creating a healthier lifestyle, yet it’s the least practiced life changing mindset shift and action. 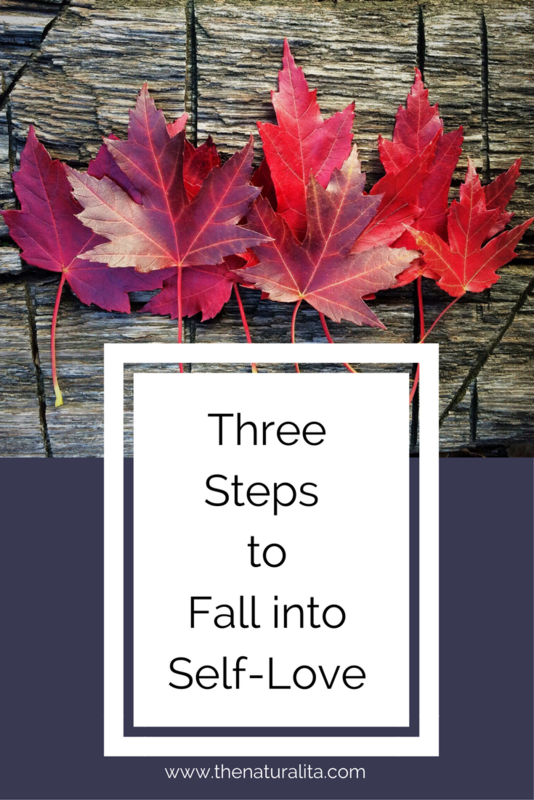 This fall (and every day), create some time to fall back in love with yourself and your life by walking through the recommendations above and adding in what you feel would be helpful for YOU to continuously develop a deeper relationship with yourself. When will you flow through these steps and move into a more consistent self-love practice? Which step is your favorite? 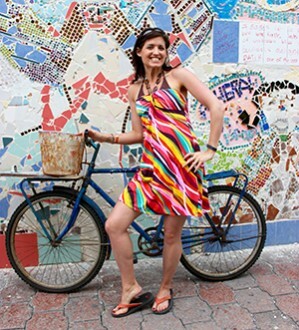 Nicole Marie is a Career and Life Wellness Coach + the love and inspiration behind the Naturalita. 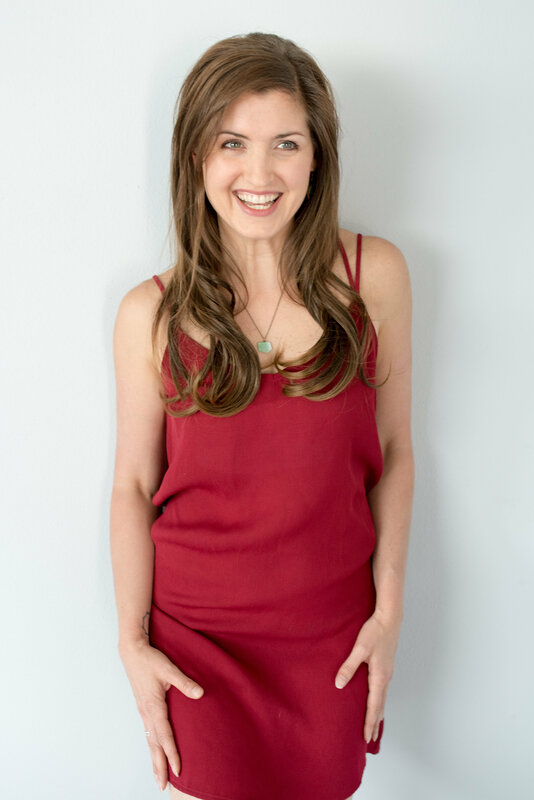 With a background in Human Resource Management paired with her experience as an Internationally Certified Health Coach and Business Mentor, Nicole helps women create a self-love focused wellness foundation, connect with a career or business that brings them joy and open up their hearts to exploring their wanderlust in life and the world. Desire to more forward on your personal journey? 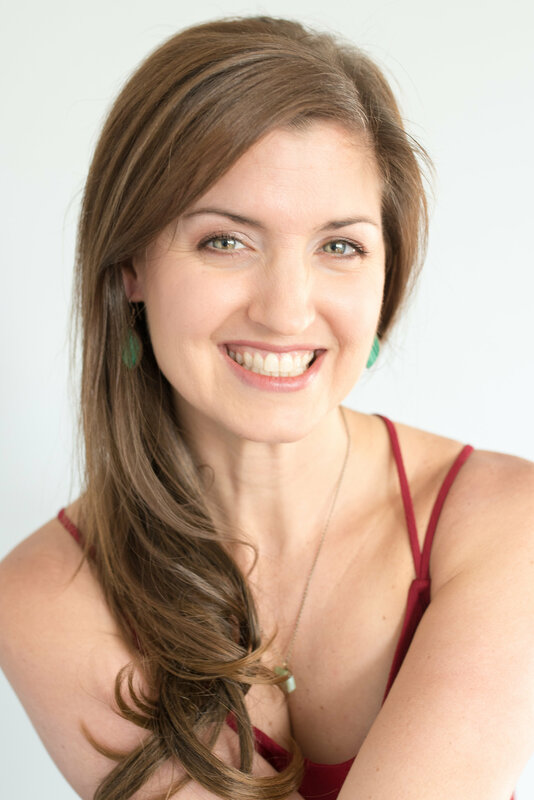 Nicole guides women through 1:1 coaching, connective group coaching programs, in person and online workshops and retreats, and personally created online programs. 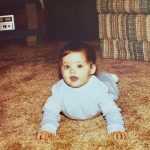 Want to connect to learn more? Connect with Nicole here. 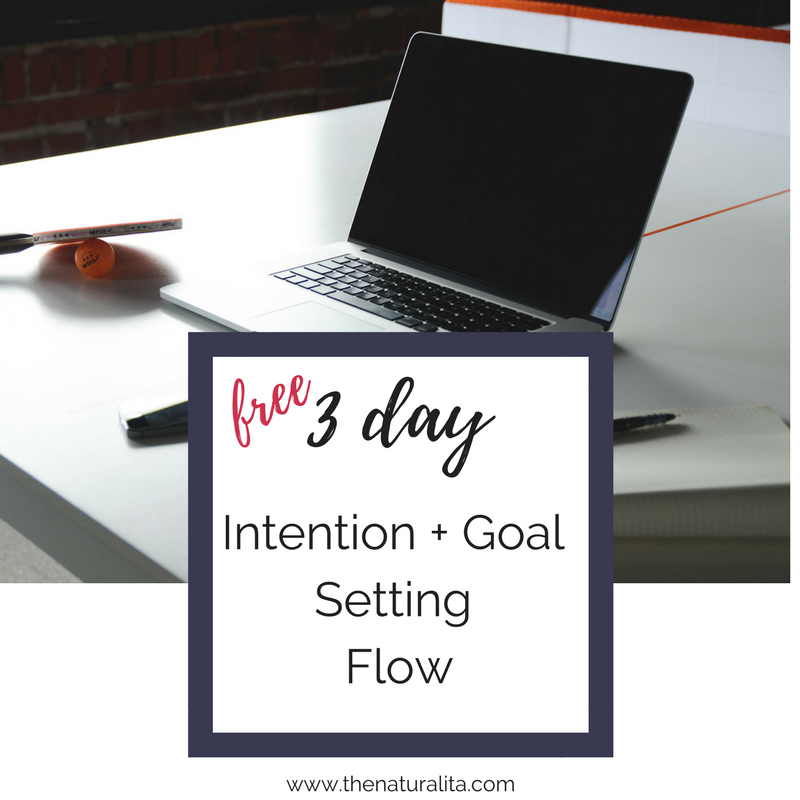 Find your own natural flow to create your individual goals with this simplified, fun, 3-day goal setting flow. You'll receive one email daily with a fun focus sheet + activity to implement to create inspired action and flexibly plan out your goals. ← Let Her Be Free. Hey... Wait! 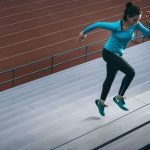 If you're resistant to goal setting... or want to start making positive progress in your life... this is for YOU! Over the 3 days, you'll receive one email a day delivering tips + helpful formulas and templates to help YOU gain clarity and start taking inspired + consistent action toward your dreams. Plus, it's FREE! You'll receive a daily email + fun focus sheets to help you create your own goal setting flow.